How do I gain access to spectrum for an IoT service? Access to IOT spectrum is available on a licence exempt basis or you can obtain spectrum through a Wireless Telegraphy Act licence. 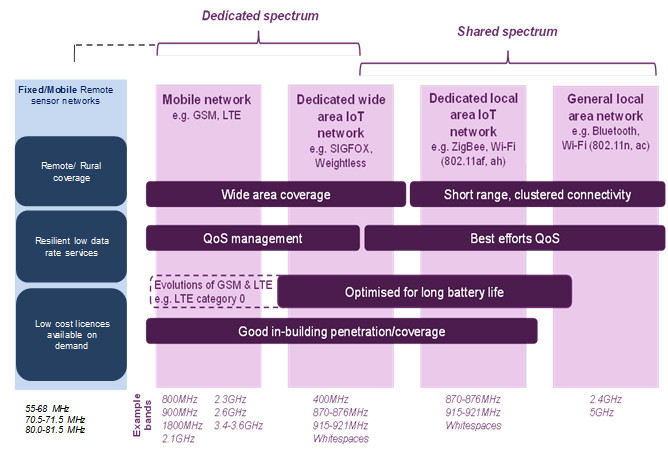 The frequency ranges highlighted above are available for IoT applications on a licence exempt basis except for those below 800MHz which are available through a Business Radio Internet of Things licence. If you wish to gain access to IoT spectrum through a Business Radio Internet of Things licence then the following frequency ranges are available. What types of licence can I choose from? There are two types of licence available to you. This licence is a flexible licence that authorises the use of a wide variety of business radio equipment. This licence is suitable if you wish to operate spectrum at a particular site or sites, from very small (e.g. in-building coverage) to very large (e.g. a county). The licence fee is £75 per 25 kHz per site. Area Defined licences give customers exclusive use of a frequency across either a 50km2 grid square, a country, or the whole of the UK. Licence fees are calculated using a combination of frequency width, frequency range and region covered. A table of licence fees based on the region covered is shown below. Band One (55.75 MHz - 68 MHz) annual fees per 2 x 12½ kHz (or 1 x 25kHz) channel. *Please note that a minimum fee of £75 applies. 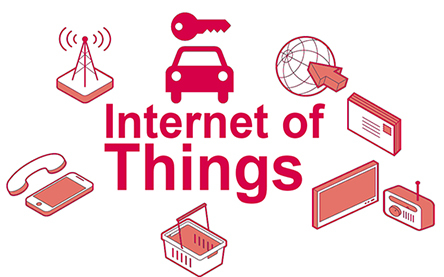 The criteria including maximum effective radiated power permissible for Internet of Things services are defined in Interface Requirement 2044. If you have an application that is not compliant with the Interface please get in touch.